Paul is a man of many talents and has thrived on a lifetime of exploring, adventure, travel and enquiry. He is completely genuine, enthusiastic, hard working and fun. Paul’s television presenting credits include; Oceans, Voyages of Discovery, Take One Museum, Meltdown and Wind. He reports for BBC News and has made live appearances on BBC Breakfast, BBC 24 News, Sky News and local TV News. Guest appearances include BBC's Breathing Places, UKTV Market Kitchen and Blue Peter. Paul's radio broadcasting work includes; BBC National and Local Radio including World Service, Midweek, You and Yours, Simon Mayo, Rock FM and US National Radio. He is a very experienced and popular public speaker, science support and field logistics expert, polar guide, professional diver and instructor, mountaineer and yacht skipper. He was the Base Commander of Rothera Research Station, Antarctica for the British Antarctic Survey for 10 years and was awarded HM The Queen's Polar Medal. For his work with NASA and the Mars Lander project on Mt Erebus, Antarctica he was awarded the US Polar Medal. The Royal Geographical Society presented The Ness Award to Paul - "For the popularisation of Geography and the wider understanding of our world". Paul's consultancy service specialises in providing leading edge thinking to align business with global sustainability issues. He is an expert at communicating and de-mystifying complex subjects. He is an informed and passionate conservationist, working hard to support our understanding and protection of our ecosystems and biodiversity. His professional diving work includes science support diving in Antarctica - BAS Institute Diving Officer, and the Indian Ocean - Diving Ops Advisor to the RGS Shoals of Capricorn project. He ran the US Navy diver training programme at Great Lakes Naval Training Centre and has trained many emergency response dive teams including the Police, Fire Department and Underwater Recovery Teams. Paul is a Mountain and Polar Guide leading Greenland Icecap crossing expeditions, polar science support logistics and mountaineering expeditions. He worked for four years as a Mountain Safety consultant to the oil industry in the Middle East. He advises and provides operational support to expeditions, charities & business in Health & Safety, Fieldwork, Diving Operations & Expedition Training. 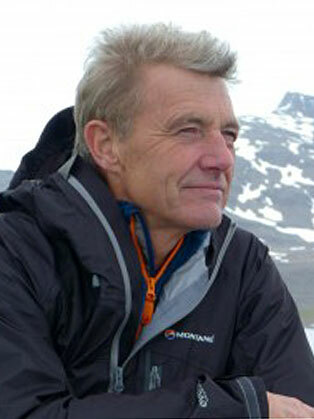 Paul was Vice President and Chair of Expeditions and Fieldwork Division 1999 - 2002 at the Royal Geographical Society. Paul recently completed filming his new 4 x 60" BBC Two series Oceans Britain. In November 2010, Paul headed to Antarctica in support of science for his 13th Antarctic season. For eight weeks, Paul will work with his science colleagues from Scripps at University of California USA and the National Institute of Water and Atmospheric Research NZ on a National Science Foundation funded climate change project. From Christchurch in New Zealand to the USAP research station, McMurdo, they were then deployed by helicopter into the most extreme desert on Earth, the Dry Valleys.